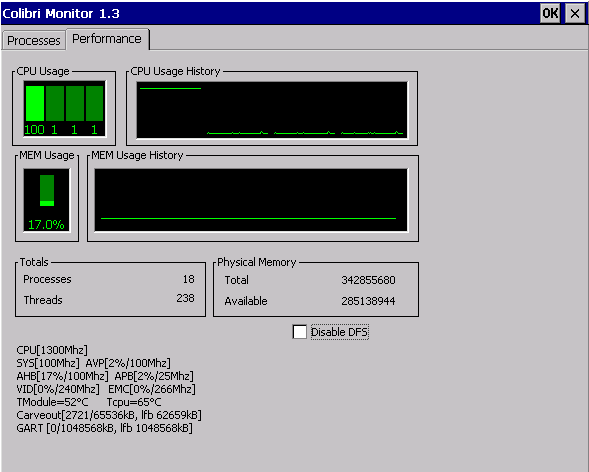 We are pleased to present to you the latest version of our Colibri Monitor, a monitor which displays the usage of the CPU, among other parameters, in a Windows Task manager like client. Note that the monitor supports all our present Colibri, as well as our Apalis System on Modules. Thread ID, visibility of Thread Priority, and Thread affinity can be accessed for each process. 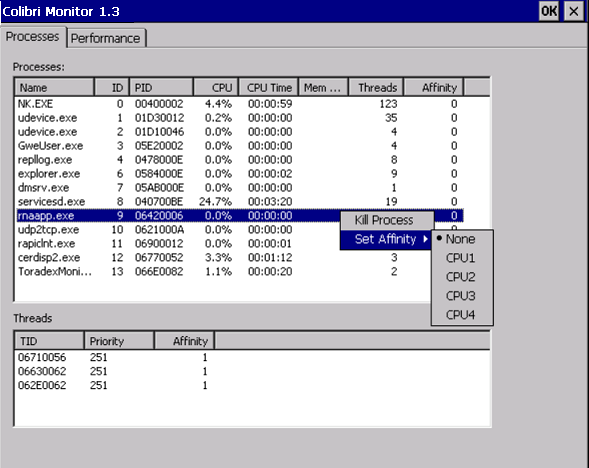 CPU usage and CPU time per thread can be easily traced. 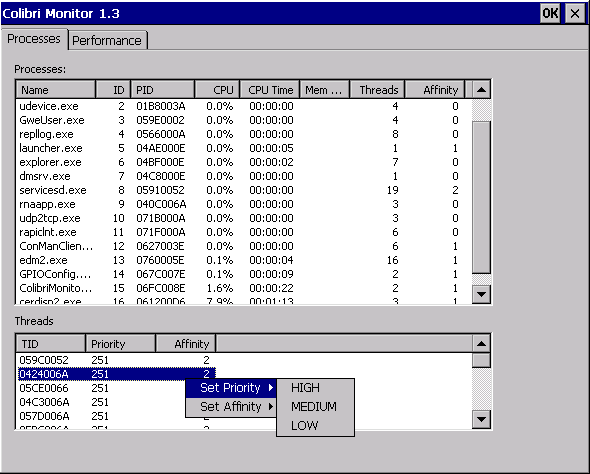 Number of threads for each process is visible in GUI. User can manually set the thread priority and thread affinity. This feature would be very useful during application debugging phase. Click here to download the latest release of Colibri monitor.